Discard an energy attached to your opponents Active Pokemon. Discard the top card of your's and your opponents deck. 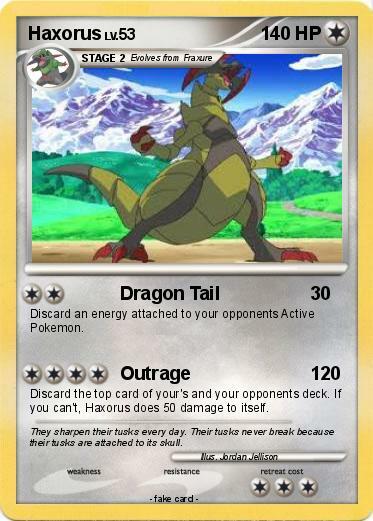 If you can't, Haxorus does 50 damage to itself. Comments : They sharpen their tusks every day. Their tusks never break because their tusks are attached to its skull.